Lalit Narayan Mithila University has been uploaded the Assignment for the students of BA MA and Bed. Students who have taken admission in the Mithila University in bachelors course or master course from the arts stream. Such all students need to download the assignment and after completing the assignment have to submit it to the respective study centre. 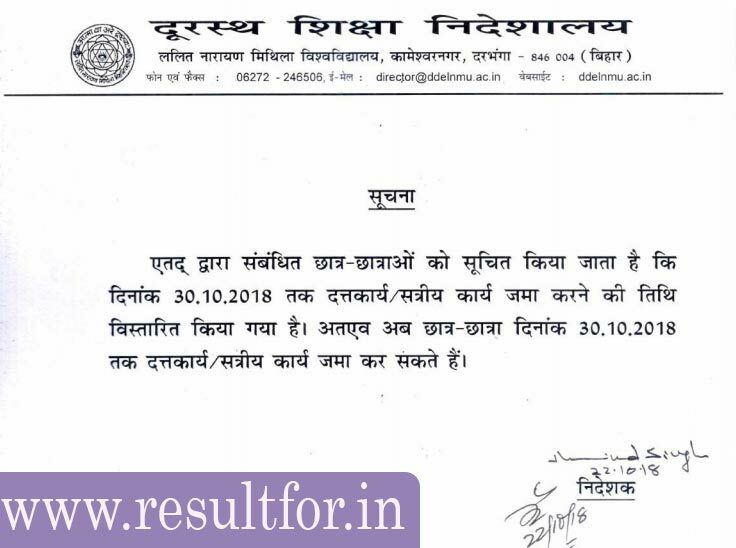 Students may search for Mithila University Assignment Jan session of December 2018 Examination, or LNMU October 30 is Assignment 2018 and last date for submitting the assignment. All the students of LNMU Distance mode are searching LNMU Ba have to submit their assignment for their semester study. To pass in the Mithila University in Distance mode have to subject to B.ED. First Year, B.ED. Second Year & B.A. Economics, B.A. English (H), B.A. Geography (H), B.A. Hindi (H), B.A. Home Sc, History, Pol Science, B.A. Psychology, B.A. Sociology. Easy to available all part like part 1, Part 2 and Part 3 can download from this website link or step which has been given stepwise. All information source and link with credits go to the Lalit Narayan Mithila University Directorate of Distance Education Website www.ddelnmu.ac.in. If you wish to download link of January assignment 2018 then you can visit at http://www.ddelnmu.ac.in/home/assignment.php. OR follow the step which has been given below. Before going to tell the process to how to download all ba or ma course assignment, We would like to mention that last date for submitting assignment is 15th August 2018. Hence students are suggested as much earlier possible download and after the completing the assignment submit it to respective study centre of Mithila university distance mode. Then Course wise and subject wise assignment will be listed. Click on link/name for which you wish to download. A pdf file will be open in new page save the file or take print out.